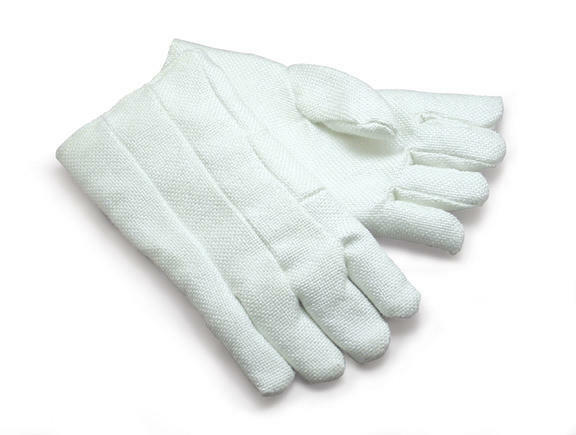 Heavy-duty kiln gloves that can be used up to 1000°F and will not burn. Made from a highly textured form of silica fabric that is inert and will not burn, these gloves will withstand continuous exposure to temperatures up to 1000°F (538°C). Fully lined with cotton on the palm and 11 ounce wool on the back. Zetex gloves are 14″ long and 7″ wide.